If you think about it, retirement is a big deal. Well, it’s usually MADE a big deal for men. When searching about it on google, retirement gifts for men usually pop up. I wonder why women are usually left unnoticed when it comes to this aspect of life. They work hard too! Retirement is that time of life when someone has finally settled down after all those years of hard work. And of-course, the retired would love a special gift to reminisce her time at work. So, if you’re still confused about what to get her, here are fifteen retirement gift ideas for women to help you make the decision. Retired women usually look forward to do a lot of traveling that they could not do when they were working and looking after their families. However, even so, they look to keeping memories of those travels as again, it is important time in their life. 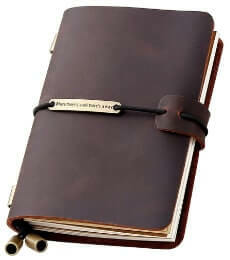 A chic travel journal or notebook is a good gift idea in this aspect. This way, wherever she travels, she will be able to make notes of her stay and jot down memories that will last forever. Not only that, she can use it to make plans for where she is going as well. Instead of giving her only retirement related gifts, why not pull out a random but thoughtful one? Candles have always been classic gifts. Candles make a great home decorator and not to mention that you can put in her favorite scented candles in so that the gift is even more personalized! There are various candle stands available but make sure to choose one that matches her tastes as well something that makes a statement as well. A keychain might seem like an average present for anyone. However, customized gifts are the best way to go! 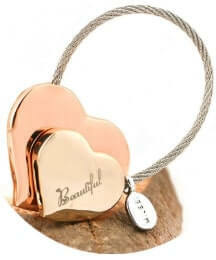 Give her one with wordings that might be sentimental or something that reminds her of good memories. You can even get her a retirement keychain with witty and clever wordings on it to remind her of retirement in a humorous and personal manner. When looking for retirement gifts for women, it is important to note down the personalized aspect. 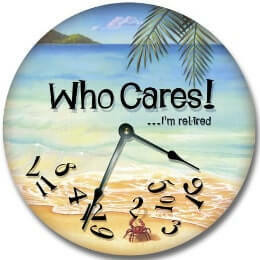 Now that the woman has retired, she will probably have more time for leisure activities. Apart from wanting to travel to different places of the world, she would also want to drink. This is where the customized wine glass idea comes in. Get her a lovely glass that she can sit back and relax with while enjoying her newly found retirement phase. There are a lot of options regarding retirement gift ideas for women. However, one of the most practical yet thoughtful one amongst them all is gardening supplies. Most women that age are really into those sort of activities. Like we said earlier, recently retired women usually look forward to spending more leisure time. Get her a basket filled with gardening tools and everything she needs to get started. This is because even though it might be new to her, she will be able to probably start a new hobby! Everyone has a story and so does nature. Just imagine if you could save a piece of nature’s artistic ability in your home! Well, it is sort of possible. The Tree of Life glass ball range consists of hand blown and handmade art glass balls that depict the changing elements of nature and its beauty. This is a great gift for women who are interior conscious and are looking for a great piece to keep in their home. 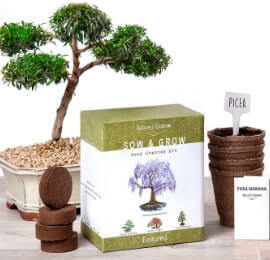 Bonsai trees usually make great gifts. In fact, there are a lot of people obsessed with them. Not to mention that they make great house decor pieces. So, why would you hold back on gifting one to that loved one on her retirement day? Who wouldn’t want a japanese form of art on any special day, come on. There are some funny ladies out there and we’re sure they will need a new gag now that they are retired. 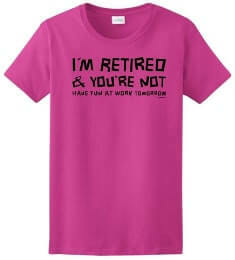 So, how about a t-shirt that says something humorous about their retirement to give a new light to this phase of life. A regular wall clock would be such a blah present, we agree. However, you can twist things up with a colorful clock that has a retirement related quote inside to make it much more memorable. 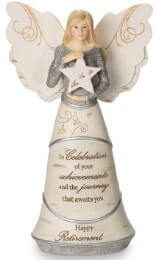 This angel symbolizes the beauty of being a retired woman. It makes a nice gift because not only is it a great piece for any room, but it also holds great meaning that will be remembered for years to come. Like the travel book, this one will hold a lot of memories as well. This gift will allow your retired woman to keep her most precious retirement memories throughout her life in this book. If she’s into showing off her retirement, then this is the perfect gift. 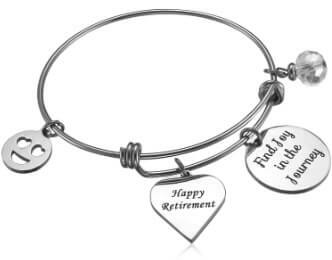 A retirement wording bracelet is a cute and quirky present that any woman will cherish throughout. 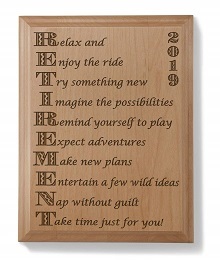 This engraved wooden plaque is a great gift for the retiree. It reminds her that she is free from the stress of work life and can enjoy her day in any way she likes. It also makes a very good home décor. Okay, this may seem basic and not thoughtful at all. However, it might become something you’ll use every day. 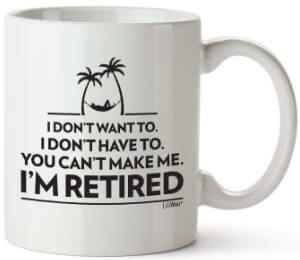 Get her a mug that has some funny and memorable wordings on it so as to remind her of the retirement journey. This way, you’ll be in her thoughts every day during her morning coffee! The art of appreciation gift basket is probably the cutest one amongst all. This basket holds all sorts of goodies that will make her squeal in joy due to the many random but thoughtful things she’s getting. There you have it, fifteen amazing gifts of inspiration while planning one for a retiring loved one. Overall, just keep in mind to be at least one percent thoughtful, as it is what she will most look forward to. A woman’s retirement means that she now has time for things that she sacrificed throughout the years, not only for herself but for her family too. So, go ahead and make her feel special!